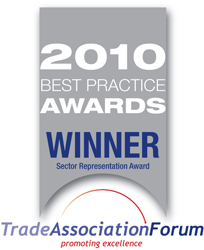 The B&B Association won the 'Sector Representation Award 2012', as the best trade association in Britain (out of 313) at representing its members. 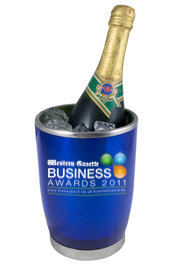 David Weston (below) has a 25 year track record in the travel, tourism and hospitality sector. He is a Fellow of the Tourism Society (FTS), and a member of the Government's Tourism Council. After gaining a BSc. in Printing & Communications Technology, David started his career printing LP covers, then served as director of a small London advertising agency before moving into tour operating. David created the Great Escapes short breaks brand, and built it to a 17% share of its highly competitive market (and best in net profit margin out of all the major short breaks operators) over a five year period, winning the business a Deloitte & Touche/The Independent “Indy 100” award in May 2002 presented by the Small Businesses Minister Nigel Griffiths MP, for achieving sustained profitable growth over a five-year period, in the top 1% of all UK mid-market companies (across all sectors). 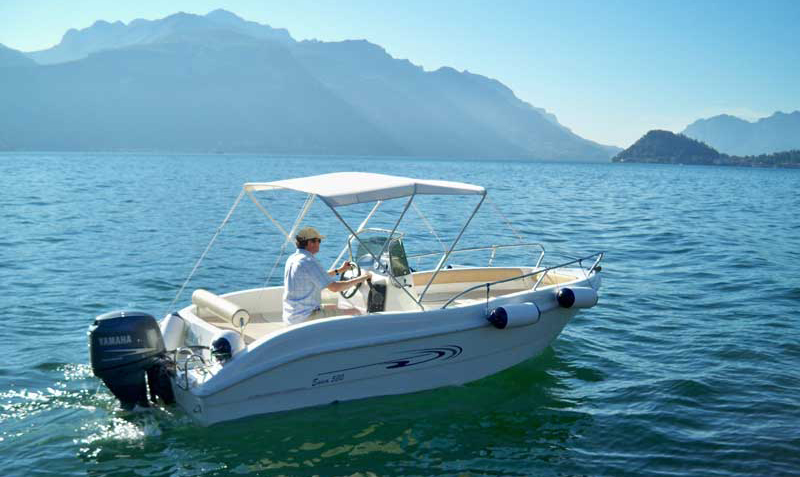 After leading the 3i-backed Management Buy-Out which combined the holiday businesses Great Escapes, Allez France, SuperSites and Corsican Places to form the newly-created Holiday Places Group, David served for a year as the group's first Managing Director before selling up. David founded the Bed and Breakfast Association, the UK trade association for the B&B and guest house sector, which won the CBI/Trade Association Forum "Sector Representation Award" in 2010 as the best trade association in Britain at representing its members. David is managing director and proprietor of Special Publishing Ltd., which will celebrate its 20th anniversary in 2016 (and was runner-up in 2011 as 'Family Business of the Year' in the Western Gazette Business Awards) and which in January 2011 launched Hospitality Today magazine, the online multi-media trade magazine for the UK's £115 billion hospitality sector. 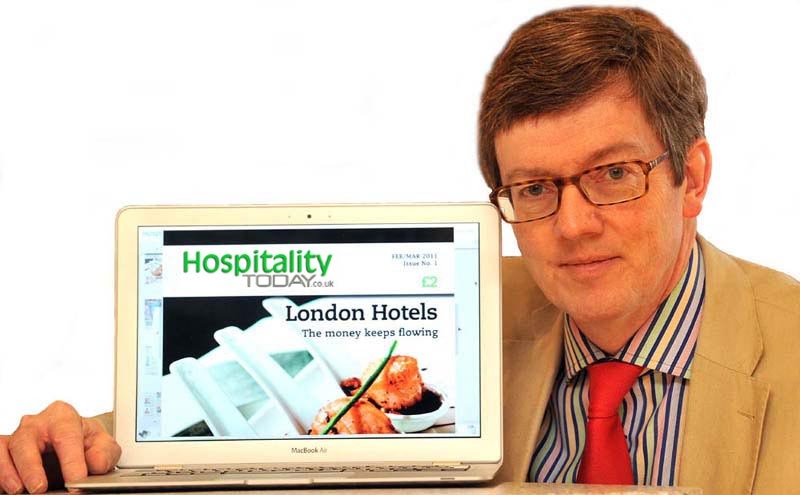 The magazine, which David edits, has a unique distribution model which reaches 35,000 hotels, restaurants and other hospitality businesses across the UK. Special Publishing are also currently working on plans for a new website for everyone who loves eating out: Restaurantgoer.com. We have a selection of very special domain names available for sale - see SpecialDomainNames.co.uk. David is co-author of How to Start and Run a B&B, reviewed as "One of the most practical, well structured, easy to read and informative small business books I have come across". The Times said "If you're thinking of buying a B&B or you've just started in one ... buy it. Solid advice, well written, good, up to date info especially on marketing". David has also written for VisitBritain's 'Accommodation Know How', Travel Weekly magazine, Parliamentary Monitor magazine, TravelMole, Tourism magazine, Travel Trade Gazette and others, and spoken on tourism issues on BBC TV, ITV, SKY news, Radio 4 and many regional radio stations. David has served since 2005 as Company Secretary of The Travel Foundation, the UK's sustainable tourism charity, dedicated to "caring for the places we love to visit". For the last year or so at the Foundation, David's main project has been to initiate the creation of The Travel Lottery, "the travel industry good causes lottery". In November 2015, David was invited by the Minister of Tourism, Tracey Crouch MP, to sit on the Tourism Council, a group of 20 or so tourism industry leaders, chaired by the Tourism Minister, who meet to advise the Government on tourism industry issues and act as a link between the UK tourism and hospitality sector and the UK Government, via its new inter-departmental Ministerial Group on Tourism. You can follow David on Twitter at @DavidJWeston. 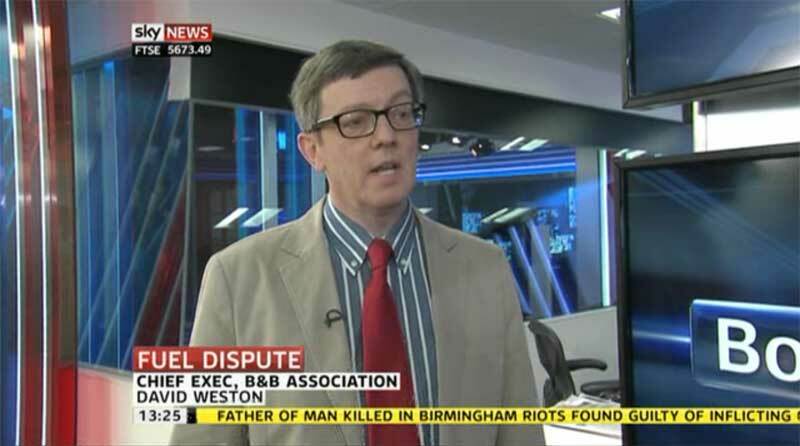 DW with Hospitality Today, the online magazine produced by his company Special Publishing Ltd.
DW interviewed on Sky News, 5th April 2012, about the effects of the tanker drivers' dispute on tourism. He said "I think it is wrong that a small number of workers who happen to be in a privileged position can hold to ransom an industry [tourism] which is the third largest employer in the UK". 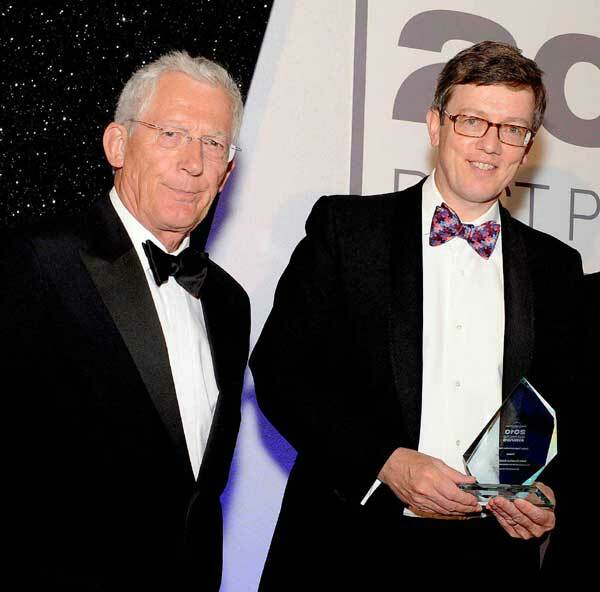 DW being presented with the Sector Representation Award 2010 by Nick Hewer (of "The Apprentice"). 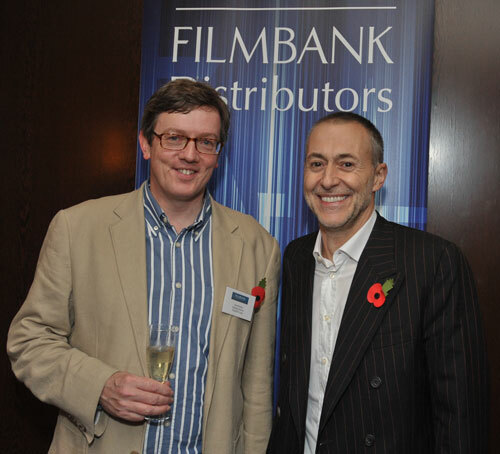 DW with Michel Roux Jr at Filmbank's launch of 'Michel Roux's Service' (November 2011). Michel Roux Jr was exclusively interviewed in Hospitality Today (Oct/Nov 11 issue). 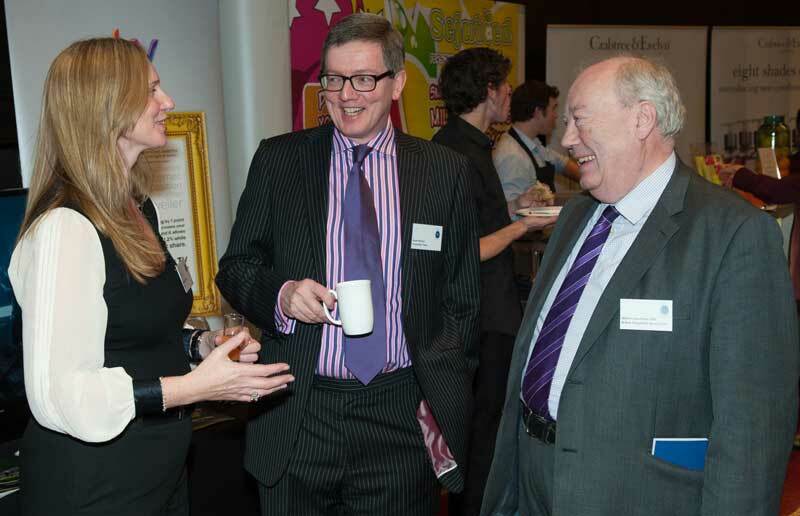 DW (centre) with Bronwyn Groves of Sky and Martin Couchman OBE of the British Hospitality Association at the Master Innholders' 2014 Conference at the Park Plaza Westminster Bridge Hotel, London (20-21 January 2014).